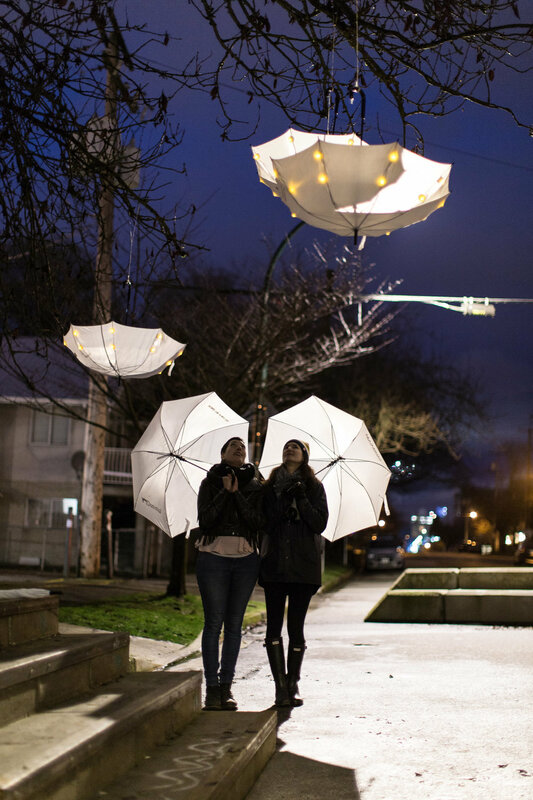 I collaborated with Tiffany Blaise to create LuminoCITY an interactive art installation which was created for Winteration in Vancouver BC. 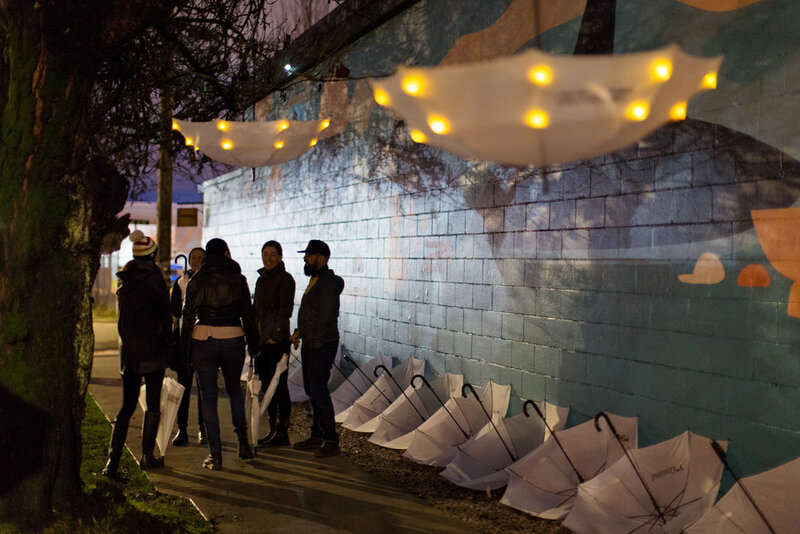 LuminoCITY is an art installation that explores seasonal affective disorder. The installation was designed to combat winter blues and brighten people’s day by creating an immersive environment filled with warm light. Each of the 179 tealights represents a day of Autumn or Winter. This piece is inspired by candles and the Danish concept of “hygge” which means wellbeing. Additional umbrellas were lined along the building and cycle path for people to take home with them. 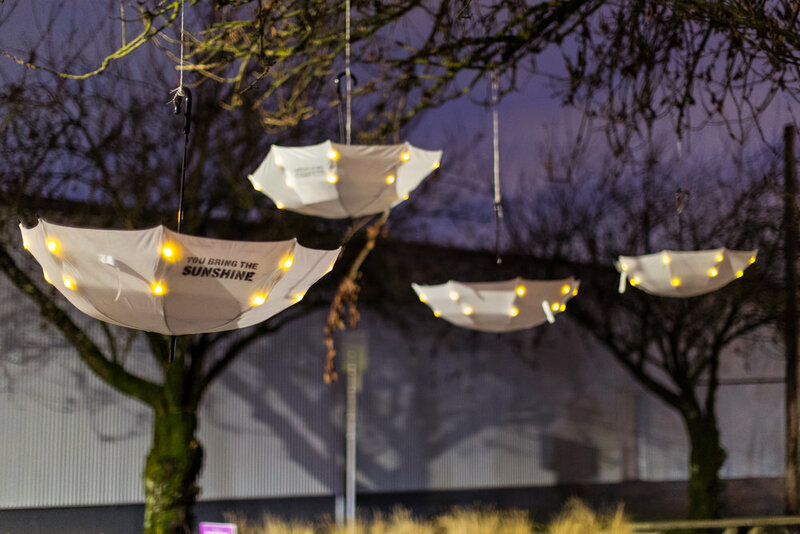 Each umbrella had an uplifting message on the inside to lift you up when you needed protection from the rain.